For Your Best Move Ever! Beautiful 3 bedroom 2.5 bath 2 car garage townhome in the Cascades community! Conveniently located just north of Hwy 121 and west of the Dallas North Tollway! Master suite is located downstairs with upgraded master bath with garden tub and separate shower. Large living area is open to dining & kitchen. Kitchen with breakfast bar & pantry. Half bath downstairs for guest. Utility room with understair storage. Upstairs features a loft area perfect for den, office or workout space. Two bedrooms with full bath also located upstairs. Features include wood floors in living and dining, crown molding, ceiling fans, walk in closets. Covered side patio with grassy area and full sprinkler. Roof replaced 2018 and HVAC replaced in 2016. 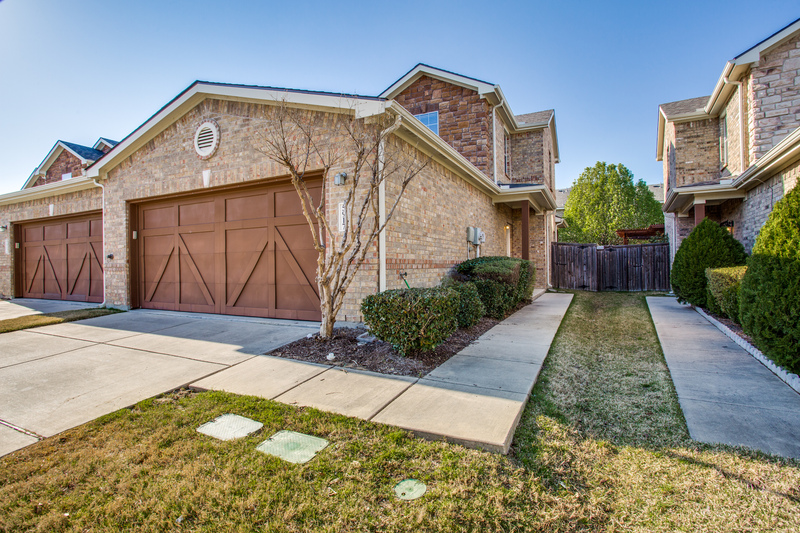 Close to shopping & restaurants with Lewisville ISD!